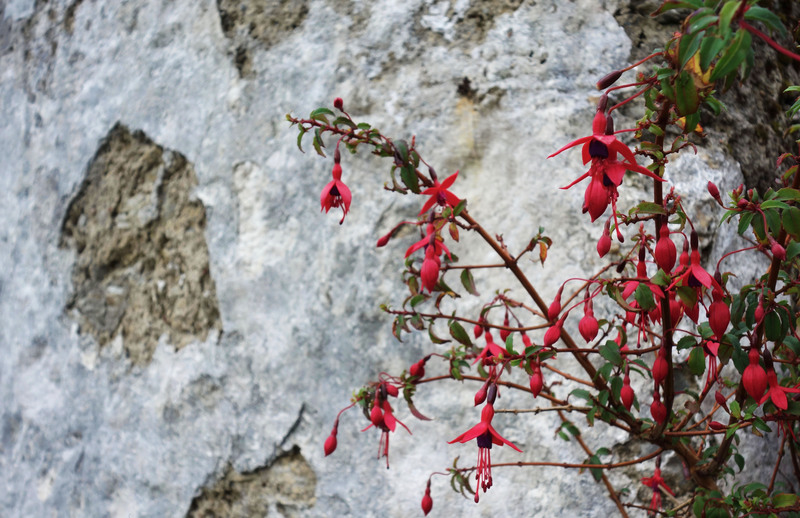 Fuchsia against an old stone wall in Glencolmcille. 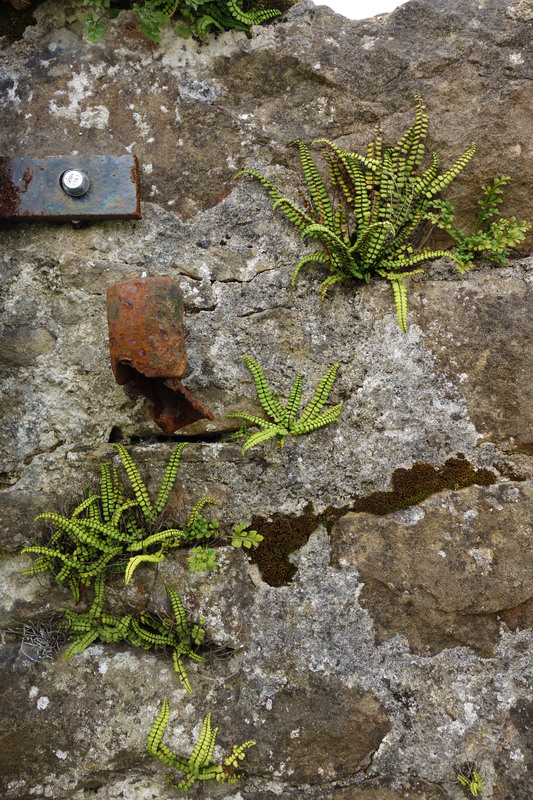 Not only was Ireland’s landscape continually awe inspiring, but the plant life was nearly overwhelming. I felt that every other second I was photographing another flower. What I loved the most, though, was the abundant fuchsia. There was so much in Glencolmcille that the hedges that lined many roads were fuchsia. I’ve long been a fan of the plant, which is difficult to grow in the south. 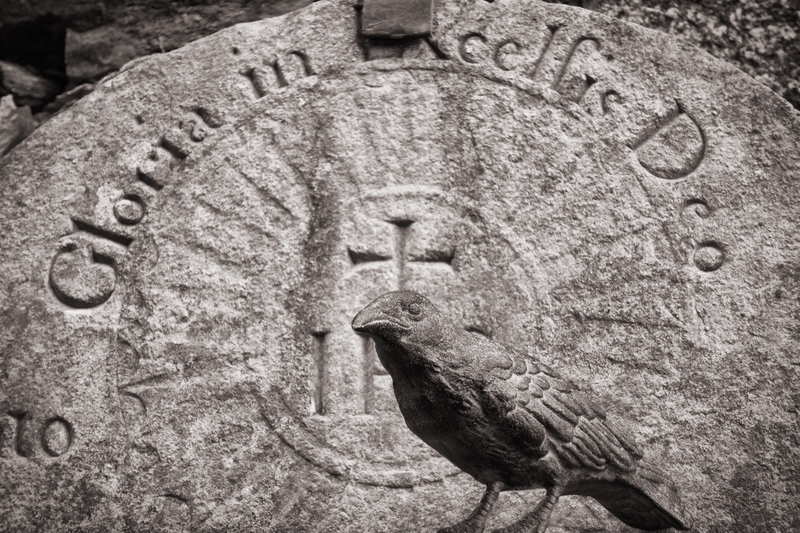 I like it so much that I named one of my characters in The Hallowed Treasures Saga for it (and in homage the character of the same name in The Gormenghast Trilogy by Mervyn Peake). 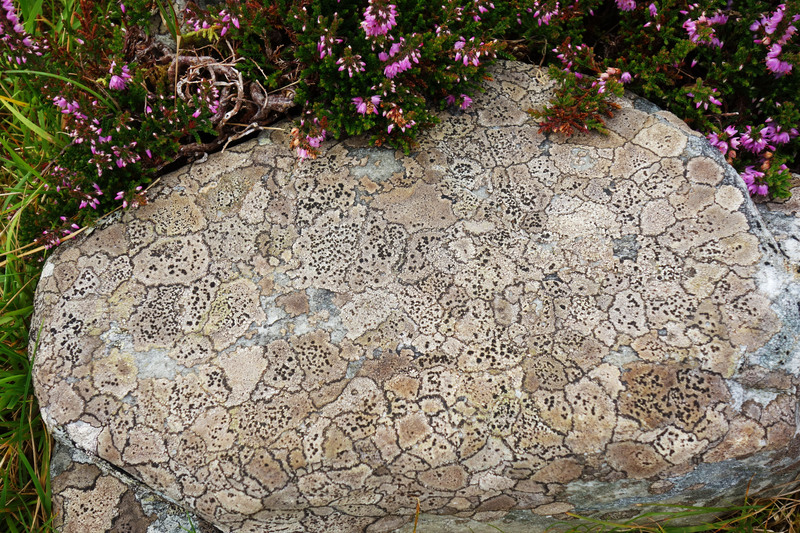 Lots of cool rocks in Ireland, said the geology major, and they were often nestled in heather. Ferns grew everywhere you looked. 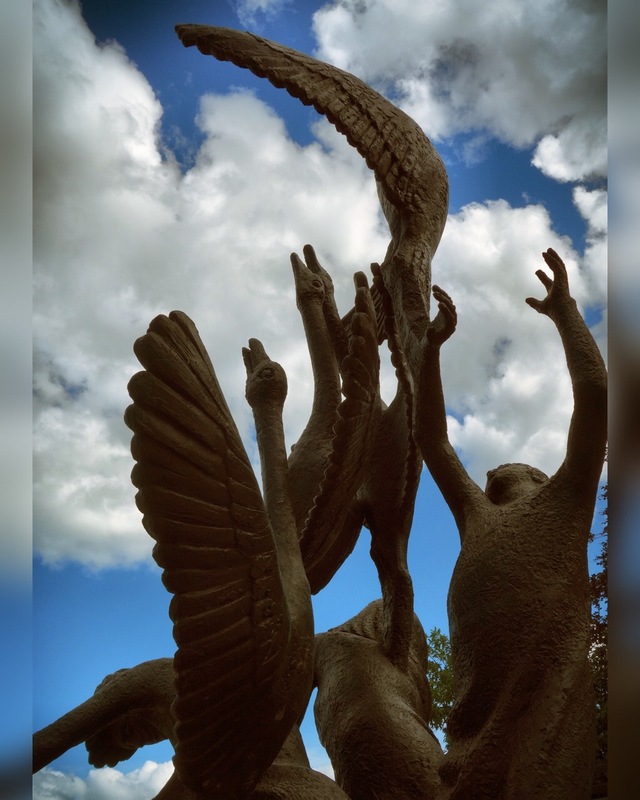 The statue in the Garden of Remembrance in Dublin. A cottage door in Glencolmcille, County Donegal. 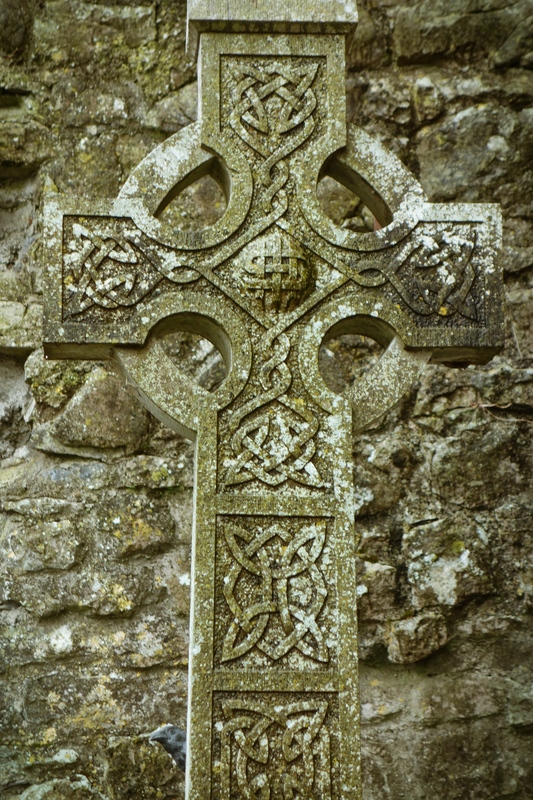 A Celtic cross against a stone wall in the graveyard of the abbey ruins in Galway, County Clare. 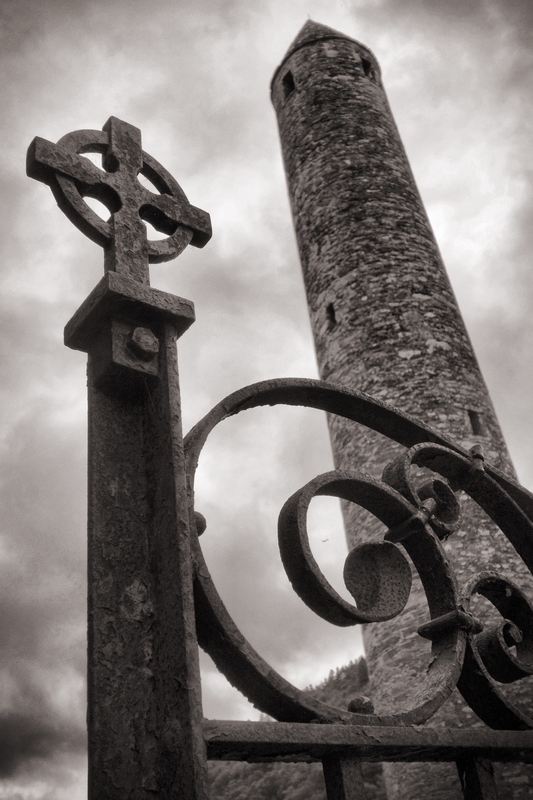 The round tower and graveyard gate at Glendalough, County Wicklow. 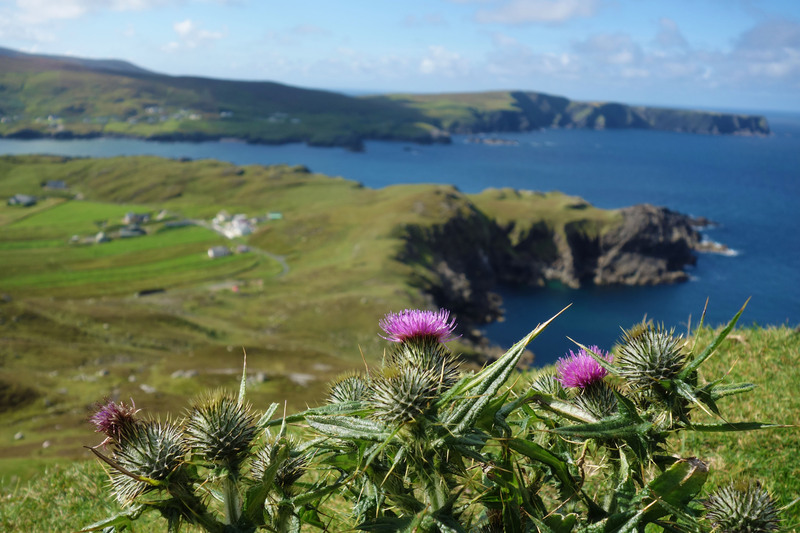 Thistles and a view of Glencolmcille in County Donegal from the Tower Loop Hike. You cannot miss them when traveling to Ireland. 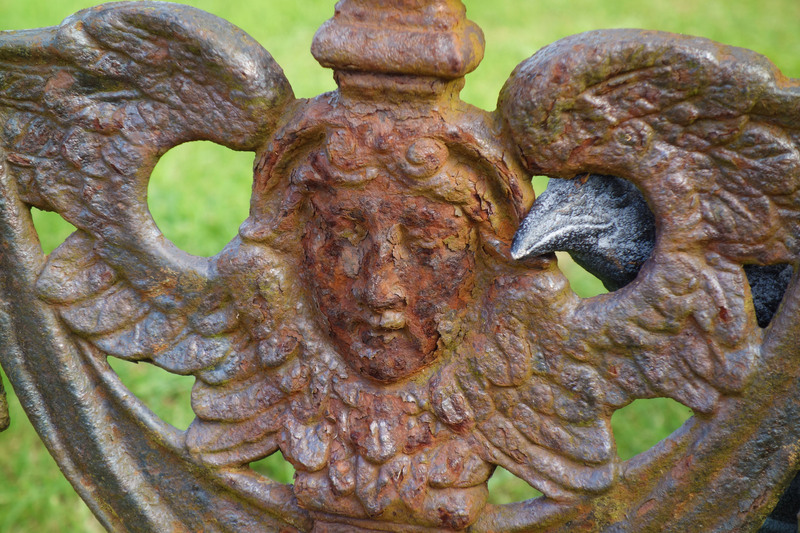 We recently spent a week in a cottage in Glencolmcille, County Donegal, before driving down the western coast to stop in Ennistymon, Dingle and Killarney. 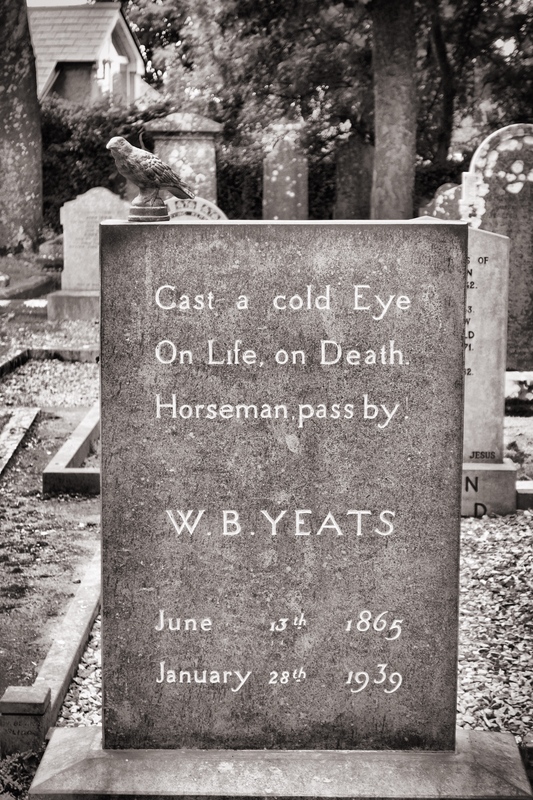 We then drove across the Republic to Glendalough before spending our final two days in Dublin. This week’s focus is the Irish Landscape. Next week, I’ll look at some of the details. 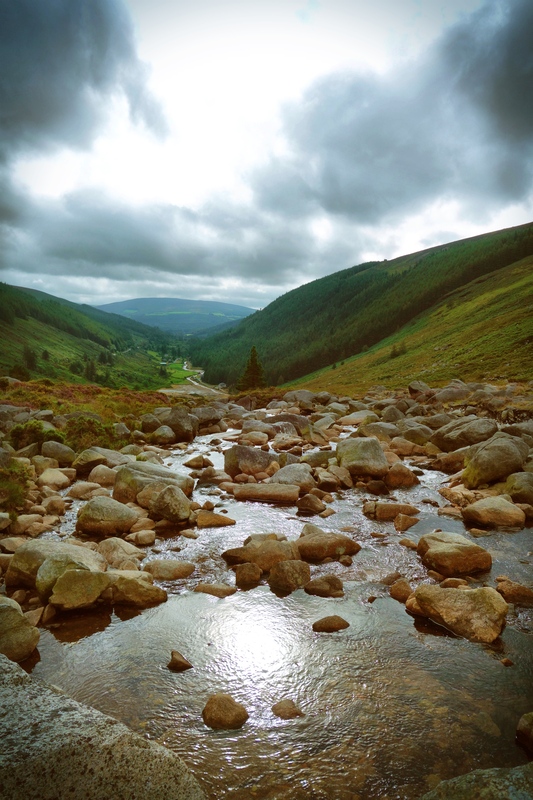 A view down the valley toward Glendalough in the Wicklow Mountains, County Wicklow.